Today introducing an original and fun map called Super Pirate Battle Royale 1.4.7. This map is designed to play with your friends, where you can play from 2 to 8 players. As you can see on the map there are two boats, one for each team. Each boat has 4 guns, they need to be charged with TNT and start bombing the ship, like a crazy, the enemy ship using the systems prepared to shoot the TNT’s. One of the authors of this map, is the developer of oCd Texture Pack, package that’s recommended to use for this map. 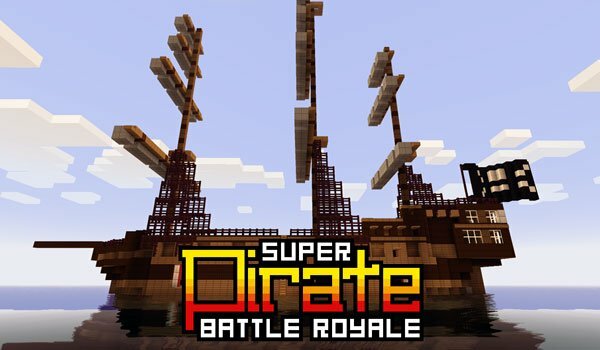 How to install Super Pirate Battle Royale Map for Minecraft 1.4.7?